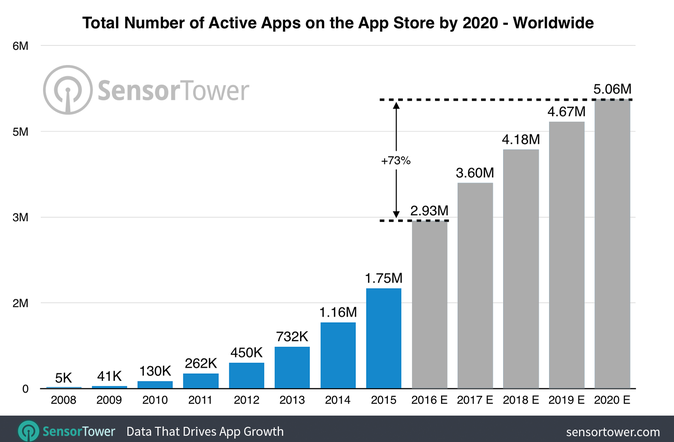 A new report from app intelligence firm Sensor Tower predicts that by 2020 there will be over 5 million active apps on the app store, worldwide. While this number is an indicator of the stiff competition that lies ahead for app businesses, the present day scenario is not much different. The mobile app ecosystem is showing no signs of shrinking, and that’s why app businesses constantly invest in app marketing campaigns to pull the market share in their favor. But the truth is that things move fast in the world of marketing, and when it comes to app marketing, it’s even faster. Thus it requires a unique approach. This article is full of tips you can use to build marketing campaigns that are not only relevant for your users but will also help you skyrocket your app growth in 2018! Before we go ahead and evaluate the various tactics, let’s look at what makes 2018 different, and why it requires a revamped strategy for app businesses. In his yearly marketing predictions, Ashley Friedlein, Founder of EConsultancy, advises a change in focus towards real-time customer experiences and suggests a multi-channel approach to winning user attention in 2018. Some marketing experts speak about one-time single use apps, and others, like Steve Young, propose a focussed approach on retention and post engagement strategies. Clearly, there’s a lot that’s different about 2018. It is much more crowded, channels are more saturated, and things that worked in the past no longer work or provide similar results. It’s a no-brainer that app marketing campaigns this year need new ideas and approaches in order to stay relevant and forge new relationships with users. Most campaigns in 2018 have to address one or more of the three main recurring challenges faced by app businesses: user acquisition, user engagement, and user retention. Each of these campaigns is unique in nature, so we’re highlighting unique tips to win over them. These tips are influenced by current trends that, if applied prudently, can help businesses gain the most this year. Let’s evaluate each of them separately. 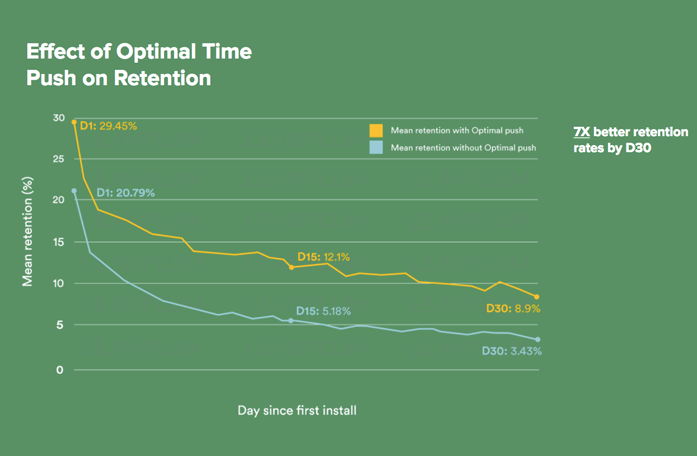 App install rate and the total number of app installs are two significant metrics that define app acquisition; stronger acquisition metrics are a good way to judge the interest and value that users derive from your app. With an increased number of apps on the app store, the user has no dearth of options. In fact, a winning app marketing campaign steered exclusively towards acquisition can help your brand increase app downloads significantly. Here are three tips to acquire new users in 2018. With hundreds of apps to choose from, businesses will have to work to strike gold with their campaigns. There are numerous tried and tested acquisition strategies to win new users. However, in 2018, one cannot stay mainstream. App businesses need to step out of their comfort zones and test ideas and build app acquisition campaigns that can literally shake the user. One of the most exciting ways to do this is by infusing concepts of augmented reality into the mobile app. The trends for augmented reality are promising, and this approach has been touted as the next big enabler in content consumption. A couple of years ago, IKEA launched an app that used augmented reality to allow users to imagine 3D versions of IKEA furniture in their homes. The mobile app was used as a vehicle to improve the selection and purchasing process and led to massive user engagement and resulted in over 8.5 million downloads. Starbucks has used augmented reality since 2011. However, it has been the success of Pokemon Go, which enjoyed 100 million global users in 6 days, that brought augmented reality to center stage. The latest entrants to leverage its benefits are beauty brands. Augmented reality concepts are in line with a user’s expectation, and therefore a great app user acquisition tactic to be used in 2018. A major deal breaker in planning app acquisition campaigns is their cost. For a significantly long period, app acquisition costs were on the rise. However, a recent report published by Fiksu states that these costs are going down. App acquisition costs will continue to oscillate, however, the best approach to attracting new users without losing marketing dollars is to maintain a medial approach that encompasses a focus on creative and cost-effective campaigns. There are numerous strategies that can be used; what’s critical is to choose the one that complements your user base for instant identification . It should also be creative and distinct enough to attract and push them to download your app. Bride Story – a marketplace for wedding planning based in Jakarta – launched their app and used Instagram ads to attract new users. Not only was Instagram the right creative platform for them, but it also helped them achieve 50% lower cost per installs compared to other channels. Kevin Mintaraga, Bride Story CEO, explains how their Instagram-led acquisition campaign helped them attract new users. The Mary Meeker’s trends report suggests that marketers should stay away from mobile pop-up ads. 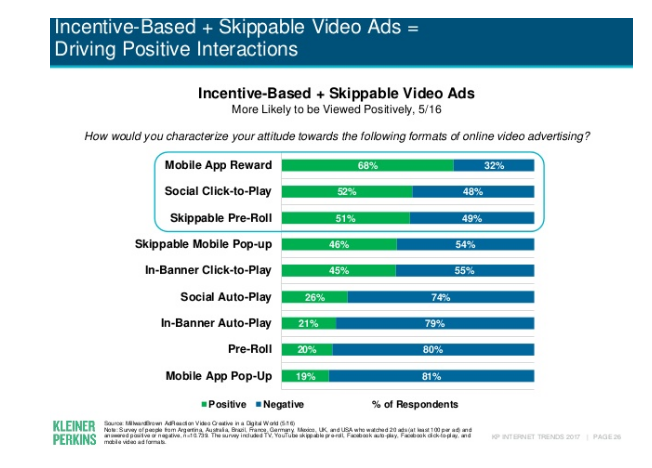 However, they do favor incentive-based ads and skippable ads. 68% of users also showed a positive outlook towards mobile app rewards. Appsflyer looked at the top 25 US non-gaming media sources quoted in the Appsflyer Performance Index, an industry go-to report card for mobile marketers. Appsflyer found that more than half of them offered some sort of incentivized ad format in their portfolio. Using an ad model that incentivizes an app download is a great strategy to be used in 2018, and a one that can significantly boost user acquisition. How to build a successful #app #marketing campaign focussed towards acquisition? A study published by Appboy in the second quarter of last year states that retaining new app users isn’t easy, with more than 75% of users, on average, failing to return the day after first use. The trends in 2017 are no different, and a report published by Appsflyer confirms that retention challenges lie ahead for businesses this year. Clearly, 2017 is the year that app businesses need to double down their retention efforts. Leanplum – a mobile marketing platform – found that brands are overspending on acquisition, but not directing enough attention and dollars towards retention, which leads to major churn issues. As an antidote, the team suggests push notification-driven campaigns to increase app retention. The team also proposes that instead of sticking to a random pre-scheduled push notification campaign, app businesses should focus on an optimal time-driven approach which will ensure that messages are sent to users when they are most likely to open them. There are numerous ways to use push notifications. Here’s a great example used by the QuizUp app to re-engage a user. If you unsure of how to create the right push notifications, this article from our team can help you get started. Open communication is key to user retention. The more you interact with your users, the more you’ll understand what’s working for them and what’s not. Brands that have an effective communication strategy would be expected to be consistently on top of things. Consider these numbers: a typical business hears from only 4% of – unsatisfied – users, the remaining 96% of users do not voice their opinion. In fact, 91% of users simply do not come back. This is a clear indicator of flawed communication. By building an effective communication strategy, app businesses can turn negative churn upside down. All that’s required is to effectively seek feedback from the user, and tailor communications that are contextual and engaging for them. Apptentive proposes a strategy which that’s tied to the customer journey. The company also found that an effective communication strategy can boost retention numbers positively, as shown in the graph below. Most apps today are heavily dependent on SDKs. While they open the world of integration for developers, multiple SDK integrations can lead to unnecessary crashes, expose the app to bugs, drain the battery, impact user privacy, and lead to SDK fatigue (a term coined by the team at Appsflyer). 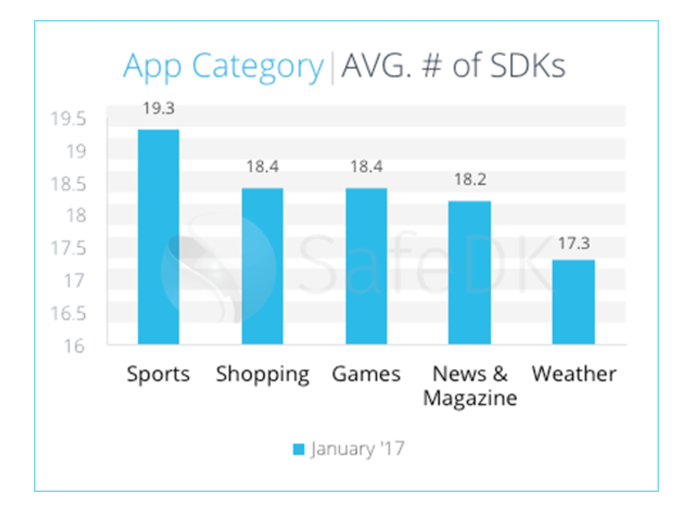 Here’s a quick snapshot of the average number of SDKs within apps. Multiple mismanaged SDKs can seriously impact retention numbers as they can prevent users from having a crash free experience. This is one aspect of user retention that needs attention in 2018. How to build a successful #app #marketing campaign focussed towards retention? 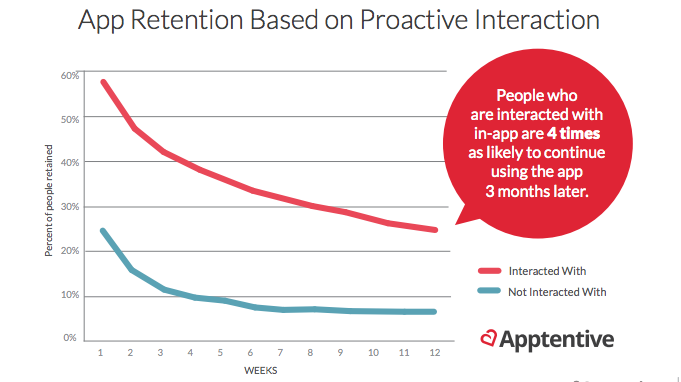 The data around app engagement is gut-wrenching. 70% of users churn within 30 days, despite an overall increase in the time spent on mobile apps. A lot of this could change in 2018 if app business align their app engagement campaigns with the available data. We’ve listed a few strategies that can help you make adjustments to your app marketing campaigns. Location-based marketing is a great way to keep a user engaged, and with the right data, it is one of the best strategies we can use to win hearts. 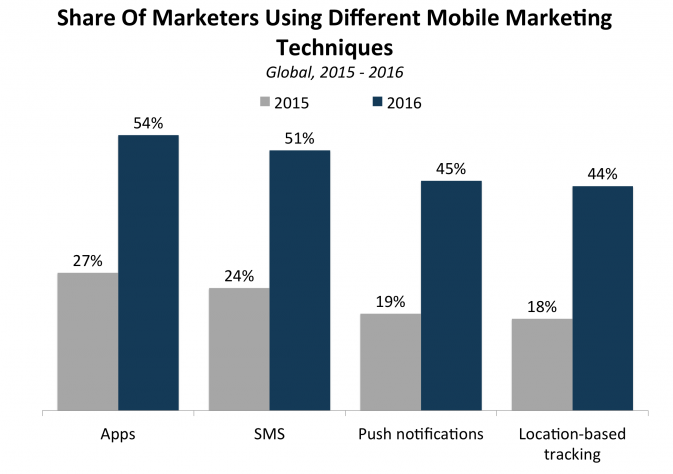 Reports suggest that the percentage of marketers who favor location-based tracking as a mobile marketing technique has drastically improved in the recent years, and a clear focus on it will be a big differentiator in the long run. In 2018, however, the approach should be focussed towards building more real-time experiences. Steven Rosenblatt, President of Foursquare, is a great advocate of location-based app marketing. Your users are on the go and a location-based engagement strategy will complement and delight them more than a regular in-app message or push. This strategy can be can be applied to various app categories, and is, therefore, a brilliant way to create a unique experience and boost user engagement. Henry Cipolla, Co-founder & CTO at Localytics, explains at length in the video below why location services are critical for mobile app. 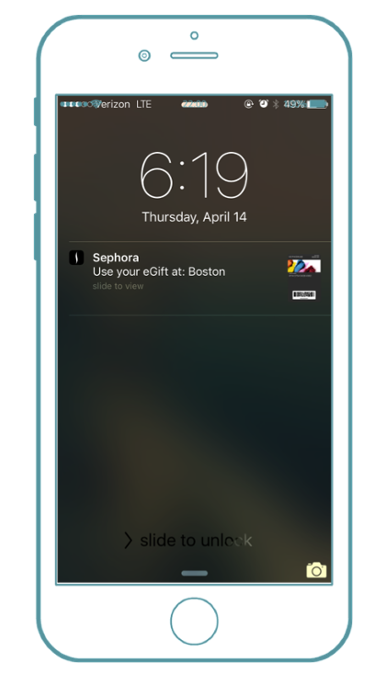 Sephora employs blended location-based data to improve the mobile experience for their users. The brand sends pre-emptive messages to users by tracking their location. Starbucks uses location data to promote special offers and order ahead services. Mary Meeker’s report noted an interesting trend this year. 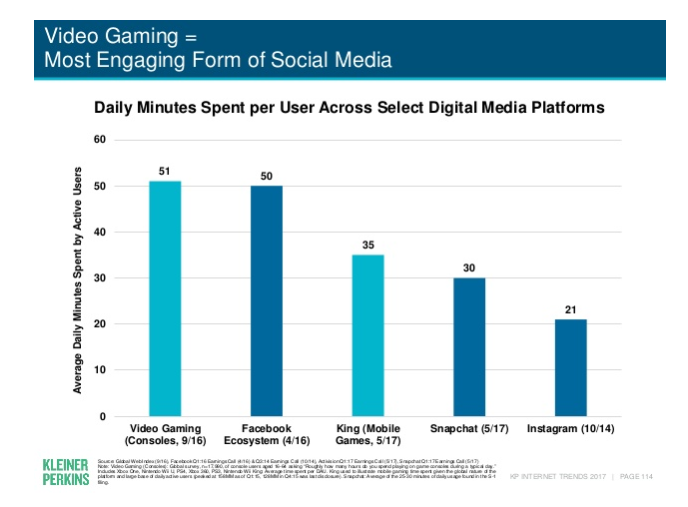 The report found that “video games” per se are one of the fastest ways to maximize user engagement, and an average user spends 51 minutes a day on “video games.” The report also states that this is one platform that demands attention in ways that nothing else does. App marketers have a great opportunity here. While it’s true that not all apps can be gaming apps, by bringing in “video game-like” elements into the app, such as in-app rewards, badges, splash screens, virtual gifts and redeemable gifts, marketers can supercharge engagement levels. DatePlay, a new dating app, gamifies the online dating experience by having users work through a series of quizzes and mini-games. This is yet another way of bringing video game-like features into an app. Brands with sufficient marketing budgets can also invest in building a parallel gaming model, like Snapchat with its recently introduced ‘filter games’. Forbes states that 2018 will be the year of app search. Voice-based search is fast becoming the way users find information, delegate tasks and more. A recent data by Google states that 20% of mobile queries are voice searches. Voice search within apps will help boost convenience for users who are on the move. Imagine being able to buy groceries via a voice command! Most voice recognition systems run via the cloud and do not impact app performance in any negative way. Here’s how a fitness app has integrated voice search. If applied strategically, this trend can bring in heightened engagement for your brand’s mobile app. This could also be a game changer for apps in the E-commerce and Travel sectors. Users today are constantly sharing images, videos and text within networks that can be incorporated into your app to boost engagement. The benefits of integrating user-generated content into your mobile app are multifold. Incorporating user generated content helps build personalization, helps create a connection between the brand and the app user, and encourages promotion through word of mouth, which in this model might not always occur in-app. How to build a successful #app #marketing campaign focussed towards engagement? As a whole, 2018 has brought unique opportunities for businesses to scale their app growth. The trends and forecasts are interesting and seem to encourage experimentation and out-of-box strategies. The above-mentioned tips and strategies can help app businesses gain a lot of perspectives, and make the remaining quarters memorable for the users while bringing in high revenue for themselves. Very comprehensive. One of the most valuable articles on the subject I’ve come across recently!